We have been in the super well needed rain cycle here and our streams are going up in water volume and the landscape is turning into a marvelous spring-green with loads of wildflowers popping up at mid to lower elevations. Pictured below is the Little Wood Reservoir. A wintery mix of weather bodes well for another great week of fishing. Expect the fishing to just keep getting better and better. The timing of the season’s first full weeks of low pressure coupled with the timing of pre-spawn activity is a fly angler’s winter dream come true. Each year as we move closer and closer to the spring months, and almost always by the last few weeks of February, the fish (Rainbow Trout) begin to exhibit pre-spawn behaviors. This means several things happen. The trout will begin to move and explore, looking for the depth and gravels they desire for spawning. They will also begin to make some of their first physical changes. In February this is subtle and starts with color changes, as fish “Brighten Up” from their dull winter coloring. The most important behavioral change, as far as anglers are concerned, is the need for the fish to pack on the calories needed to make it through the spawn in good shape. Once a fish enters this pre-spawn mode, the normal caution the trout takes when eating gets tossed to the side in favor of a voracious appetite and a desire to eat almost anything they can track down. This is common behavior as trout eat little to nothing while they spawn and the need for calories is great. For fly anglers this pre-spawn pattern means the season’s best catch rates. The midge hatches will continue to grow in size and duration through late February and all of March providing enough food for trout to send them into a near frenzied state. 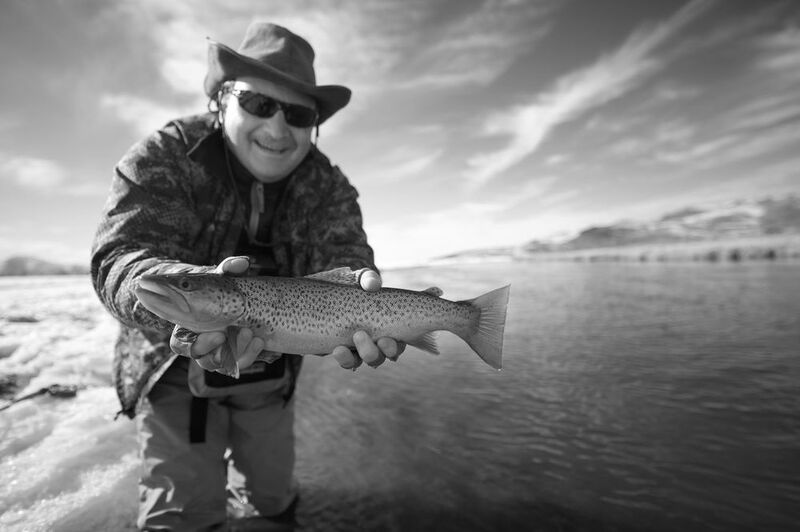 The flies you should have in your box this time of the year include Streamers, Red Brassies and Zebra Nymphs, Zug Bugs, Hares Ears, Prince Nymphs, Girdle Bugs, Montana Stones, Tie Down Midges and Griffiths Gnats. Just how voracious will the trout become? A few years ago on the Big Wood River during a massive Midge Hatch, we cast Deer Hair Bumble Bee patterns just to see if they’d eat them…in February…they ate them over and over again. This is not to say you shouldn’t come to the river ready to match the hatch, it is just evidence to how pre-spawn activity affects the fish. 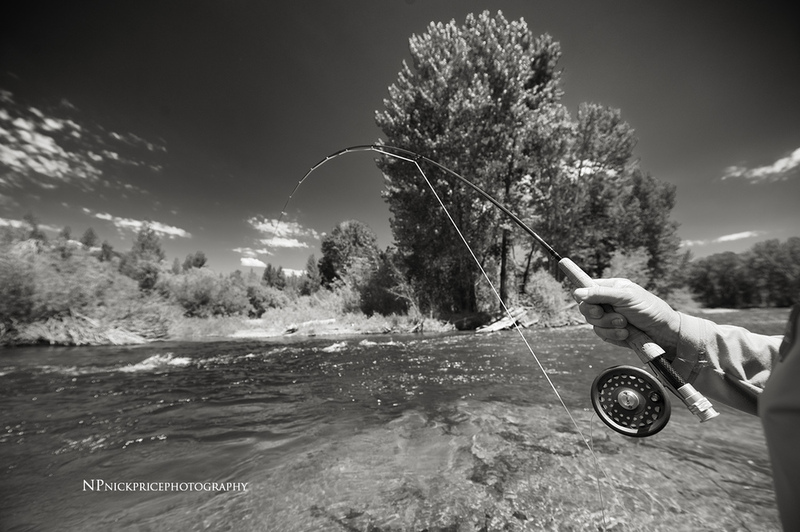 If you’ve been dying to get down to Silver Creek to fish streamers for large Brown Trout, you only have two weeks left! The Creek closes at the end of the month. We have private water on Silver Creek and there is no access fee this time of year when you hire a guide. It's $300 for the rest of February to hire a Picabo Angler guide on Silver Creek AND fish private water that sees very little pressure. The cost is for one or two anglers. Hope to see you soon. 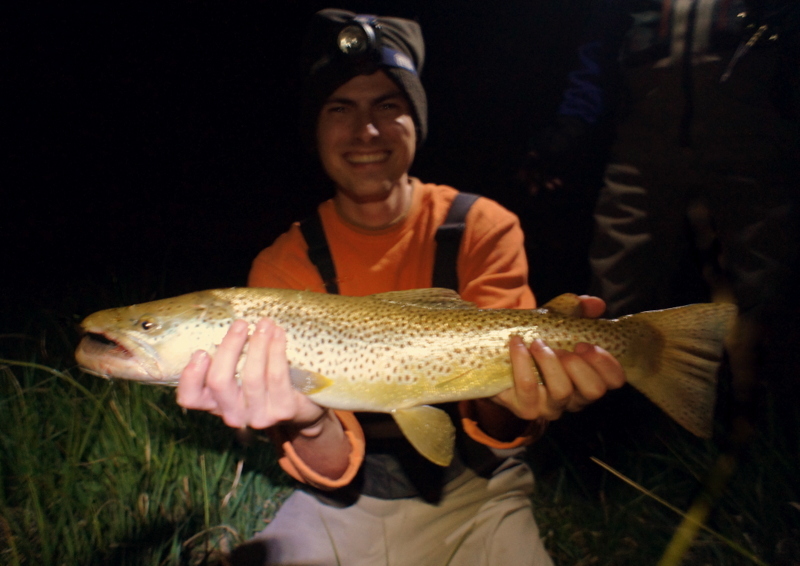 A winter brown trout caught on Feb. 17th of this year. Silver Creek.